No one can escape Cupid’s arrow! 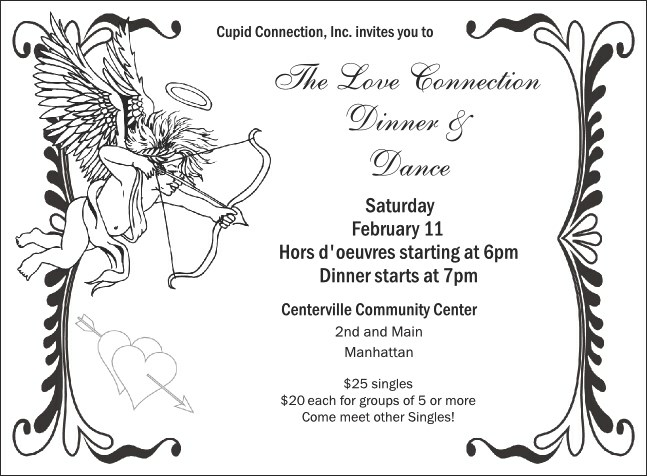 On the black and white Valentine’s Day Invitation template your event information shares space with the little winged harbinger of love and romance himself. Your guests will be love struck by its design and so will you when you see a great turnout at your next event! Check out the matching event kit from TicketPrinting.com, fall in love with the great designs!